In this INFORMATION AGE where the internet is a superhighway, the ONLINE environment has become the main place where people research legal problems and information, and choose a lawyer. Unfortunately, too many attorneys are being left behind because they are not meeting Google's algorithms. They have ineffective information online, citation errors, and limited, negative, and old reviews without responses. All of this is costing them business. Accurate information on 70+ local directories, map sites, social media sites, and apps used by 250 million users/daily. Are You Blowing Through a Marketing Budget without Results? 90% of all searches are done on Google, making Google ranking extremely important. A good mobile-friendly website rich in compelling content is vital but is only one piece of what is needed online. There need to be accurate, enhanced listings for each location of the law firm and for each individual attorney within the company. Google penalizes you for citation errors in name, address, phone number within 70+ local directories, map sites, social media sites, and local apps used by more than 250 million people daily. Reviews in sites like Google, Yelp, Avvo, and Lawyers.com are essential for an attorney’s law firm and for each individual lawyer within that firm. Reviews that aren’t current have a low value to Google. One negative review can cost a law firm 30 clients and the people they would recommend to their friends and family. Google is looking for responses to validate authenticity and show that you care about your clients. Video is the most important type of content with more than 5 billion views daily on YouTube. People much prefer to watch a video than to read. SEO is extremely important for the attorney website and will produce significant traffic if the site is ranked on page one of Google for the most important keywords. Mobile-Friendly Website – site visitors have an optimum viewing experience from every device including desktop, laptop, tablets, and smartphones. Relevance – a lot of relevant content tagged in a way search engines can read (Schema) everywhere across the web. Distance – the relative distance of the searcher from the location of the business. Responding to reviews is a measure of authenticity and used by Google for ranking. Law firms and all attorneys need reviews. Here’s why… 55% of clients search by practice name and 45% of clients will search by attorney name. This means that law firms and all lawyers within those firms need a way of distributing their information online, keeping it accurate, including the management of reviews. 83% of people use lawyer reviews as their first step in finding an attorney. 70% are willing to use an attorney in an inconvenient location if they have better ratings and reviews. Quality of service and years of experience are the two top criteria important to searchers but 38% base their decisions on the overall rating. 87% reported that Google was the most important. This was followed by Yelp and Facebook. Avvo and Lawyer.com were far less important. An overwhelming majority, 264 of the 316 participants, reported that a law firm needs to have a score of 4 or 5 stars. Nearly 84% said that a law firm would need to have review scores of 4 stars or higher before they would hire that firm. Consumers within the study were not only looking for 4-5 star reviews, but they are also looking for sufficient numbers of reviews as a measure of validation. The quality and number of reviews are more likely to produce clicks than the ranking order of the firm in the search results. 90% of people use reviews as their first step before visiting a business. Bad reviews can be even worse for a business than no reviews. They can damage brand loyalty and quickly repel would-be customers and clients. After reading a single negative review, 22% of consumers reported they will not buy from that business. That number increases to 59% after three and 70% after four or more negative reviews. What if you could have an automated real-time review monitoring system detecting reviews on all major local search and review sites? And this system would include a built-in review responding via pre-approved templates. An automated review builder is designed to help you to avoid negative reviews, share positive reviews, track client feedback, and send initial and reminder emails to clients who do not respond to your survey. Positive reviews automatically get published in the sites that are most important to the law firm while negative reviews funnel client feedback back to you with an opportunity to follow up. Part of this extraordinary system is local listing management including enhanced directory listings with an ability to easily correct all inaccuracies, duplicates and missing listings on the most important local sites. Tracking social conversations across the web filtered through Geo-Fenced proximities, analyzing sentiment, highlighting issues to address, and providing 1 click access to participate in the conversation. Providing an automatic benchmark for each location against your local competitors. Tracking local rankings, organic web rankings, and measure conversions from each marketing initiative. 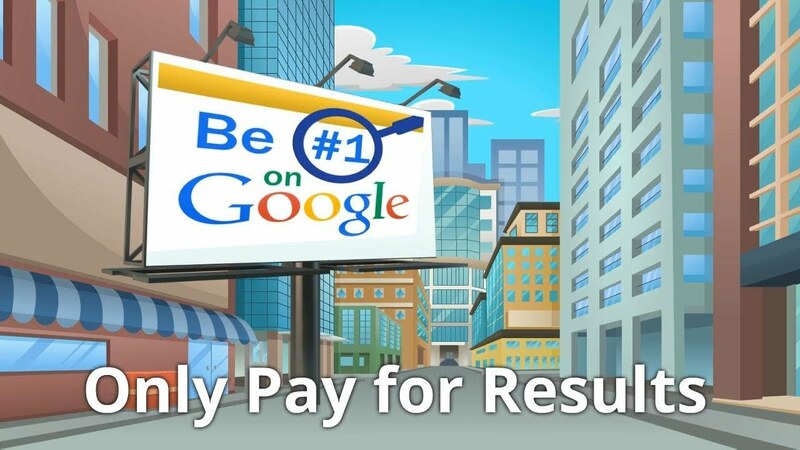 Affording page 1 rankings on Google Maps for important keywords. Providing an easy method to geotag pictures, video, and captions from all major social and search directories and help more people in your local area to find your practice. You also get advanced reporting and analysis with daily and live email alerts. A hallmark feature is integrated artificial intelligence through integrated PULSE technology. This reads, analyzes, and reports learnings about your locations and brand(s). This can identify key topics driving better client experiences and predicting client needs and wants to result in increased loyalty and greater revenues. You replace your Top Competitors on Page 1 of Google!. Let us help you to achieve your greatest success online through a mobile-friendly high-converting website, accurate and powerful information on your website and in 70+ local sites, positive reviews in the sites that matter most, optional automated responses to reviews, and top search engine rankings. We begin with a free analysis to determine your needs, goals, and budget. Through our unique attorney online marketing services, we customize a program designed to fast-track your results and maximize your return on investment.